Our staff is a beautiful mix of talented individuals, and the variety of their backgrounds creates a dynamic team ready to serve. Learn a little more about them by reading below! Rob was called to serve as Senior Pastor in January 2014. He served as an associate pastor for ten years prior to that here at First Presbyterian Church. Before coming to Kerrville, he served as pastor of Calvary Presbyterian Church in Elberton, Georgia. Rob was born in Dallas, Texas. He received a Bachelor of Arts degree from King College, a Master of Divinity degree from Columbia Theological Seminary and a Doctor of Ministry degree from Austin Presbyterian Theological Seminary. Rob’s wife, Kim, is a research scientist at the USDA lab in Kerrville. They have a son, Benjamin, a schnauzer named Molly, a terrier named Mr. Jenkins and have enjoyed life in the Hill Country from the moment they arrived. Elaine was called to FPC in 2016 after serving churches in Canyon Lake and Dallas, Texas. A native Texan, Elaine earned a Bachelor of Arts in Psychology and Religion from Schreiner University and a Master of Divinity from Louisville Presbyterian Theological Seminary. Her passion is in caring for the community, preaching and teaching scripture, and growing with others in Christ. In 2018, she began studies for a Doctor of Ministry in Preaching through McCormick Seminary. You can find Elaine with a book (or two) in hand, riding her bicycle or enjoying a cup of coffee while marveling at what God is up to in the world. Elaine is married to Sam, a professor at Schreiner University, and together they raise two young children and a dog, John Knox. Gretchen Rye was born and raised in Pflugerville, Texas and moved to Kerrville in 2013 with her family. In her early career, Gretchen worked in Geriatrics/Psychiatric programs as a Certified Therapeutic Recreation Specialist. Her passion for serving the older population thrived in working with rehabilitation and dementia facilities. Gretchen held this passion close as she began a career in early childhood education to be near her children, and transitioned into public education to continue following her children until her move in 2013. Gretchen felt a call to serve in congregational care as she learned of Kerrville’s reputation as a retirement town. After joining FPC in 2014, Gretchen jumped right in to service with Children’s Ministry, VBS, All-Church Retreat Planning, Officer Nominating Committee, and Stephen Ministry. She delights in the relational ministry within Stephen ministry and finds much reward in it. Gretchen enjoys entertaining, cooking, and being silly with her husband and three daughters. In her spare time, she takes pleasure in reading and visits with her extended family. La Verne “Sam” Baublit joined First Presbyterian Church in 1972, shortly after she and her husband Dayton moved to Kerrville. She was part of the first staff for Children’s Corner Preschool where she worked for twelve years. She also served as a volunteer in all parts of Christian Education and other areas of the life of the church. After their youngest daughter was in college, Sam began pursuing her dream of obtaining a college degree. She graduated from Schreiner University in 2004 with a Bachelor of Arts Degree in religion. In 2007 she completed all the requirements to become a Certified Associate Christian Educator in the Presbyterian Church (USA). She joined the staff of the church as Interim Director of Christian Education in May of 2005and enjoys her work with children, their families, wonderful volunteers, and the entire church as we all learn and grow in our faith together. Sam is a member of the Association of Presbyterian Church Educators and enjoys participating in continuing education events. When not working she enjoys, reading, cross stitching, and spending time with her family, which now includes her husband, and best friend of 44 years, two daughters and sons-in-laws, one son and daughter-in-law and five amazing grandchildren. Seth A. Lafler serves as the Adult Choir Director at First Presbyterian Church of Kerrville. 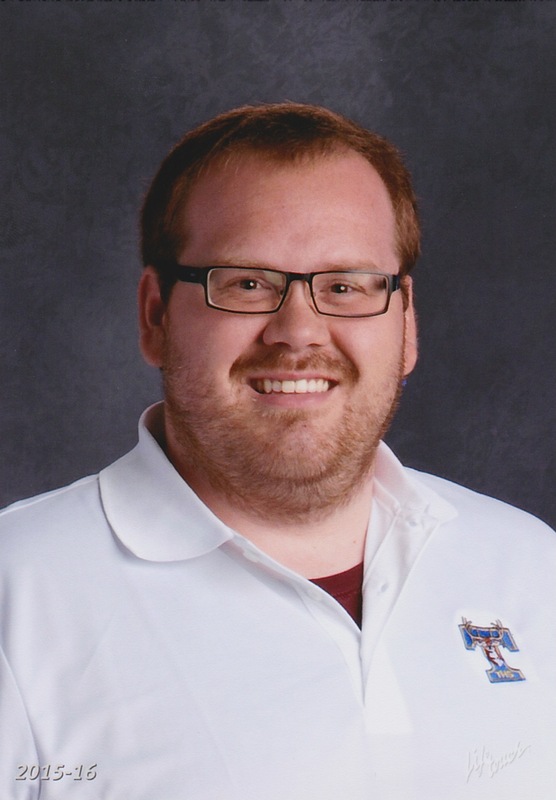 He is also Director of Choral Music and the Fine Arts Chair at Tivy High School in Kerrville ISD and sings professionally in San Antonio Chamber Choir. Before coming to Kerrville, Seth spent two years in Georgetown ISD where he taught choir at Forbes Middle School. He earned a Bachelor of Arts in music with a minor in business administration from Texas State University in 2010. Lafler is an active member of Texas Music Educators Association, Texas Choral Directors Association, and American Choral Directors Association. Tim has been an organist at FPC Kerrville since 2005. Prior to returning to his home state of Texas, he served Peace Memorial Presbyterian Church in Clearwater, Florida for 8 years. Tim's high school piano training was with Howard Barr at Texas Wesleyan University. Tim's study of organs has been at a diverse number of institutions - he received a Bachelor of Music Education and Organ degree from Westminster Choir College, Princeton; summer study included the University of Denmark and the Regents School in Oxford, England; his Master of Music degree (with a major in organ) was received from Southwestern Baptist Theological Seminary in Ft. Worth, where he also accompanied the Symphony Chorus. Tim has been Dean of local American Guild of Organist chapters in Texas and Georgia. He recently served as a clinician in organ at the Mo-Ranch Church Music Conference, and conducted workshops in various cities for the American Guild of English Handbell Ringers. As a recitalist he has played at 5th Avenue Presbyterian and St. John the Divine in NYC, Christ Chapel in Tokoyo, the Presbyterian Seminary in Taiwan. Church concert series have taken him from Florida to Colorado performing both traditional master works and playing for silent movies, namely The Phantom of the Opera. In Kerrville, he has participated in musicals at the Point Theatre, worked with the Tivy High School band and Choir for contest and played with the Symphony of the Hills. His philosophy is "God gave us music to enjoy and as a gift to share as we praise Him." Scott spent most of his life in Dallas where he graduated from high school and after graduating from Stephen F. Austin State University, he worked for two corporations at regional and national levels. Many long weekends spent on the family property west of Medina convinced him that there was a better life in the Hill Country and he and his family moved to Kerrville in 2002. It was at that point that he left the corporate life and became a stay at home Dad and spent countless hours watching his daughter Claire play tennis until she graduated from Tivy High School in 2013. Claire is now attending American University in Washington, D.C. and studying International Relations. Now as the Director of Children’s Corner Preschool, Scott spends most of his time overseeing the program. He has shown and bred Rottweilers and PBGV’s (Petite Basset Griffon Vendeen) since the early 1990’s and loves being around the dogs. In addition to his time spent with the dogs, he is an avid reader and although frustrated with them at the moment, he is still a huge Cowboy fan. Ann Reynolds spent the first 23 years of her life in Fredonia, N.Y. where she grew up and then attended S.U.N.Y. at Fredonia to receive her Bachelor’s degree in Education. She then moved to Texas and attended the University of Houston to complete a Masters in Education. Ann taught school for 34 years which included positions in New York, Houston, Bryan, and then Kerrville I.S.D. She taught at Peterson Middle School for 25 years before becoming the Director of the YES Center. Ann considers herself very fortunate to be able to retire from teaching to come to the YES Center. This will be her fifth year in this position. Ann is the proud parent of 2 beautiful daughters who both live in Austin. Her joys in life are spending time with her girls, theatre, and playing cello. She is a member of our church choir, Fredericksburg Community Orchestra and Sofi Strings Quartet. She has been very active in Playhouse 2000 and the Point Theatre.